к. б.н., м. н.с. лаборатории новых биоматериалов. н. с. лаборато­рии новых биоматериалов. 1. Nishimura R.A., Otto C.M., Bonow R.O. et al. 2017 AHA/ACC focused update of the 2014 AHA/ACC guideline for the management of patients with valvular heart disease: a report of the American College of Cardiology American Heart Association task force on clinical practice guidelines. Circulation 2017, 135(25):e1159–e1195. doi:10.1161/CIR.0000000000000503. 2. Baumgartner H., Falk V., Bax J.J. et al. 2017 ESC/EACTS Guidelines for the management of valvular heart disease. Eur. Heart J. 2017, 38(36):2739–2791. doi:10.1093/eurheartj/ehx391. 3. Capodanno D., Petronio A.S., Prendergast B. et al. Standardized definitions of structural deterioration and valve failure in assessing long-term durability of transcatheter and surgical aortic bioprosthetic valves: a consensus statement from the European Association of Percutaneous Cardiovascular Interventions (EAPCI) endorsed by the European Society of Cardiology (ESC) and the European Association for Cardio-Thoracic Surgery (EACTS). Eur. J. Cardiothorac. Surg. 2017, 52(3):408–417. doi:10.1093/ejcts/ezx244. 4. Резвова М.А., Кудрявцева Ю.А. Современные подходы к химической модификации белков в биологических тканях, последствия и применение. Биоорганическая химия 2017, 44(1):1–16. doi:10.7868/S0132342318010025. 6. Мухамадияров Р.А., Рутковская Н.В., Мильто И.В. и др. Исследование структуры функционально сохранного ксеноперикардиального биопротеза после продолжительного периода имплантации. Архив патологии 2017, 79(5):25–33. doi:10.17116/patol201779525-33. 7. Pibarot P., Dumesnil J.G. Prosthetic heart valves: selection of the optimal prosthesis and long-term management. Circulation 2009, 119(7):1034–1048. doi:10.1161/CIRCULATIONAHA.108.778886. 8. Dvir D., Webb J.G., Bleiziffer S. et al. Transcatheter aortic valve implantation in failed bioprosthetic surgical valves. JAMA 2014, 312(2):162–170. doi:10.1001/jama.2014.7246. 9. Ribeiro A.H., Wender O.C., de Almeida A.S. et al. Comparison of clinical outcomes in patients undergoing mitral valve replacement with mechanical or biological substitutes: a 20 years cohort. BMC Cardiovasc. Disord. 2014, 14:146. doi:10.1186/1471-2261-14-146. 10. Arsalan M., Walther T. Durability of prostheses for transcatheter aortic valve implantation. Nat. Rev. Cardiol. 2016, 13(6):360–367. doi:10.1038/nrcardio.2016.43. 11. Paradis J.M., Del Trigo M., Puri R. et al. Transcatheter valve-in-valve and valve-in-ring for treating aortic and mitral surgical prosthetic dysfunction. J. Am. Coll. Cardiol. 2015, 66(18):2019–2037. doi:10.1016/j.jacc.2015.09.015. 12. Bourguignon T., Bouquiaux-Stablo A.L., Candolfi P. et al. Very long-term outcomes of the Carpentier-Edwards Perimount valve in aortic position. Ann. Thorac. Surg. 2015, 99(3):831–837. doi:10.1016/j.athoracsur.2014.09.030. 13. Johnston D.R., Soltesz E.G., Vakil N. et al. Long-term durability of bioprosthetic aortic valves: implications from 12,569 implants. Ann. Thorac. Surg. 2015, 99(4):1239–1247. doi:10.1016/j.athoracsur.2014.10.070. 14. Cote N., Pibarot P., Clavel M.A. Incidence, risk factors, clinical impact, and management of bioprosthesis structural valve degeneration. Curr. Opin. Cardiol. 2017, 32(2): 123-129. doi:10.1097/HCO.0000000000000372. 15. Tam H., Zhang W., Infante D. et al. Fixation of bovine pericardium-based tissue biomaterial with irreversible chemistry improves biochemical and biomechanical properties. J. Cardiovasc. Transl. Res. 2017, 10(2):194–205. doi:10.1007/s12265-017-9733-5. 16. Кудрявцева Ю.А. Биологические протезы клапана сердца. От идеи до клинического применения. Комплексные проблемы сердечно-сосудистых заболеваний 2015, 4:6–16. doi:10.17802/2306-1278-2015-4-6-16. 17. Глушкова Т.В., Овчаренко Е.А., Севостьянова В.В. и др. Особенности кальцификации клапанов сердца и их биологических протезов: состав, структура и локализация кальцификатов. Кардиология 2018, 58(5):75–85. doi:10.18087/cardio.2018.5.10110. 18. Flameng W., Rega F., Vercalsteren M. et al. Antimineralization treatment and patient-prosthesis mismatch are major determinants of the onset and incidence of structural valve degeneration in bioprosthetic heart valves. J. Thorac. Cardiovasc. Surg. 2014, 147(4):1219–1224. doi:10.1016/j.jtcvs.2013.03.025. 19. Weber C., Noels H. Atherosclerosis: current pathogenesis and therapeutic options. Nat. Med. 2011; 17(11):1410–1422. doi:10.1038/nm.2538. 20. Lindman B.R., Clavel M.A., Mathieu P. et al. Calcific aortic stenosis. Nat. Rev. Dis. Primers 2016, 2:16006. doi:10.1038/nrdp.2016.6. 21. Nair V., Law K.B., Li A.Y. et al. Characterizing the inflammatory reaction in explanted Medtronic Freestyle stentless porcine aortic bioprosthesis over a 6-year period. Cardiovasc. Pathol. 2012, 21(3):158–168. doi:10.1016/j.carpath.2011.05.003. 22. Shetty R., Pibarot P., Audet A. et al. Lipid-mediated inflammation and degeneration of bioprosthetic heart valves. Eur. J. Clin. Invest. 2009, 39(6):471–480. doi:10.1111/j.1365-2362.2009.02132.x. 23. Barone A., Benktander J., Whiddon C. et al. Glycosphingolipids of porcine, bovine, and equine pericardia as potential immune targets in bioprosthetic heart valve grafts. Xenotransplantation 2018, e12406. doi:10.1111/xen.12406. Epub ahead of print. 24. Naso F., Gandaglia A., Bottio T. et al. First quantification of alpha-Gal epitope in current glutaraldehyde-fixed heart valve bioprostheses. Xenotransplantation 2013, 20(4):252–261. doi:10.1111/xen.12044. 25. Reuven E.M., Leviatan Ben-Arye S., Marshanski T. et al. Characterization of immunogenic Neu5Gc in bioprosthetic heart valves. Xenotransplantation 2016, 23(5):381–392. doi:10.1111/xen.12260. 26. Bloch O., Golde P., Dohmen P.M. et al. Immune response in patients receiving a bioprosthetic heart valve: lack of response with decellularized valves. Tissue Eng. Part A 2011, 17(19-20):2399–2405. doi:10.1089/ten.TEA.2011.0046. 27. Honge J.L., Funder J.A., Pedersen T.B. et al. Degenerative processes in bioprosthetic mitral valves in juvenile pigs. J. Cardiothorac. Surg. 2011, 6:72. doi:10.1186/1749-8090-6-72. 28. Сарбаева Н.Н., Пономарева Ю.В., Милякова М.Н. Макрофаги: разнообразие фенотипов и функций, взаимодействие с чужеродными материалами. Гены и клетки 2016, 11(1):9–17. 29. McLaren J.E., Michael D.R., Ashlin T.G. et al. Cytokines, macrophage lipid metabolism and foam cells: implications for cardiovascular disease therapy. Prog. Lipid Res. 2011, 50(4):331–347. doi:10.1016/j.plipres.2011.04.002. 30. Mahmut A., Mahjoub H., Boulanger M.C. et al. Lp-PLA2 is associated with structural valve degeneration of bioprostheses. Eur. J. Clin. Invest. 2014, 44(2):136–145. doi:10.1111/eci.12199. 31. Nsaibia M.J., Mahmut A., Mahjoub H. et al. Association between plasma lipoprotein levels and bioprosthetic valve structural degeneration. Heart 2016, 102(23):1915–1921. doi:10.1136/heartjnl-2016-309541. 32. Mahjoub H., Mathieu P., Senechal M. et al. ApoB/ApoA-I ratio is associated with increased risk of bioprosthetic valve degeneration. J. Am. Coll. Cardiol. 2013, 61(7):752–761. doi:10.1016/j.jacc.2012.11.033. 33. Forcillo J., Pellerin M., Perrault L.P. et al. Carpentier-Edwards pericardial valve in the aortic position: 25-years experience. Ann. Thorac. Surg. 2013, 96(2):486–493. doi:10.1016/j.athoracsur.2013.03.032. 34. Sakaue T., Nakaoka H., Shikata F. et al. Biochemical and histological evidence of deteriorated bioprosthetic valve leaflets: the accumulation of fibrinogen and plasminogen. Biol. Open 2018, 7(8). pii:bio034009. doi:10.1242/bio.034009. 35. De Marchena E., Mesa J., Pomenti S. et al. Thrombus formation following transcatheter aortic valve replacement. JACC Cardiovasc. Interv. 2015, 8(5):728–739. doi:10.1016/j.jcin.2015.03.005. 36. Makkar R.R., Fontana G., Jilaihawi H. et al. Possible subclinical leaflet thrombosis in bioprosthetic aortic valves. N. Engl. J. Med. 2015, 373(21):2015–2024. doi:10.1056/NEJMc1600179. 37. 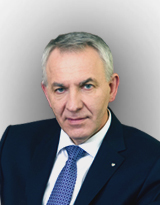 Ovcharenko E.A., Klyshnikov K.Yu., Glushkova T.V. et al. Xenopericardial graft selection for valve apparatus of transcatheter heart valve bioprosthesis. Biomedical Engineering 2016, 49(5):253–257. doi:10.1007/s10527-016-9543-0. 38. Мухамадияров Р.А., Рутковская Н.В., Сидорова О.Д. и др. Исследование клеточного состава кальцинированных биопротезов клапанов сердца. Вестник РАМН 2015, 70(6):662–668. doi:10.15690/vramn560. 39. Schoen F.J. Evolving concepts of cardiac valve dynamics: the continuum of development, functional structure, pathobiology, and tissue engineering. Circulation 2008, 118(18):1864–1880. doi:10.1161/CIRCULATIONAHA.108.805911. 40. Pal S.N., Golledge J. Osteo-progenitors in vascular calcification: a circulating cell theory. J. Atheroscler. Thromb. 2011, 18(7):551–559. doi:10.5551/jat.8656. 41. Visconti R.P., Ebihara Y., LaRue A.C. et al. An in vivo analysis of hematopoietic stem cell potential: hematopoietic origin of cardiac valve interstitial cells. Circ. Res. 2006, 98(5):690–696. doi:10.1161/01.RES.0000207384.81818.d4. 42. Wang W., Li C., Pang L. et al. Mesenchymal stem cells recruited by active TGFβ contribute to osteogenicvascular calcification. Stem Cells Dev. 2014, 23(12):1392–1404. doi:10.1089/scd.2013.0528. 43. Salamon J., MunozMendoza J., Liebelt J.J. et al. Mechanical valve obstruction: review of diagnostic and treatment strategies. World J. Cardiology 2015, 7(12):875–881. doi:10.4330/wjc.v7.i12.875. 44. Steinmetz M., Skowasch D., Wernert N. et al. Differential profile of the OPG/RANKL/RANK-system in degenerative aortic native and bioprosthetic valves. J. Heart Valve Dis. 2008,17(2):187–193. PMID:18512489.